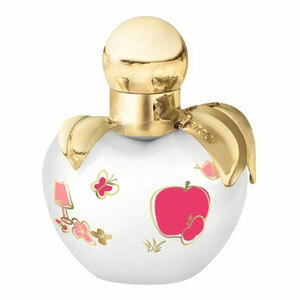 Nina Ricci launches new limited edition for the 2012 season of its floral - fruity fragrance Nina from 2006. Last year's edition Nina Snow Princess is dedicated to fairytale winter atmosphere, while the new Nina Fantasy draws its inspiration from dreams of spring. Nina Fantasy is described as playful, imaginative and transparent scent of dreams. The composition is floral - fruity and opens with juicy aromas of bergamot, mandarin and pear. Delicate cherry blossom in the heart is accompanied by romantic nuances of rose and heliotrope. Mate and brown sugar form the base of the perfume. The advertising face of the new fragrance is model Florrie Arnold, already known for her advertisement for Nina L `Elixir edition. The bottle and packaging are decorated with charming pink and golden applications. The fragrance is available as 50 ml Eau de Toilette. Nina Fantasy was created by Olivier Cresp and Jacques Cavallier.